Isn’t he a cutie? This was a new one on us – Marshall from the increasingly popular children’s TV series – Paw Patrol! 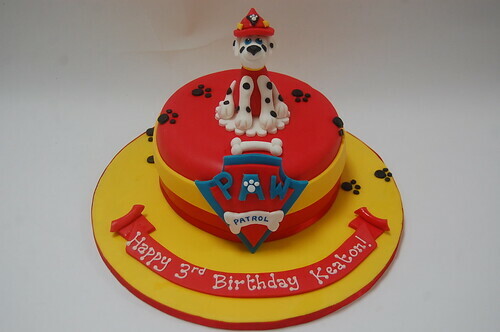 The Paw Patrol Cake – from £75.